If you have ever longed for a deeper connection to Spirit, I invite you to release your mind and become your senses. That means turning off the chatter in your head that interferes with your ability to see, feel, taste, hear, smell and intuit a deeper sense of the Divine. In my latest book, Stories from Spirit, I share 18 exercises to deepen your connection to Spirit through touch, sound, physical movement, sight, charity, emotional release and self love. All of the exercises start with slowing down so that in every moment you can be mindful of your experience. I call it “mindless mindfulness” since you don’t want to think; rather, you want to be your experience with full awareness of your senses. One of my all time favorite exercises comes from touch. I especially love touching objects from nature such as rocks, trees, leaves, feathers, moss, water… so many beautiful objects to touch and feel… not just feel with my sense of touch but to absorb the energy that each object has and to feel it with my whole being. Since my childhood, I’ve been a collector of rocks. Even now after a day of working in the garden, I’ll come into the house and empty my pockets of small stones that I picked up throughout the day. Animals have a special energy whether two-legged, four-legged or finned. While most of us won’t have the opportunity to swim with dolphins and whales, most all of us do have the ability to interact with each other and furry, four-legged animals. There is incredible power in holding another being and in being held. Have you taken the time to hold your most cherished family and friends? A warm embrace is a wonderful way to share beautiful energy and brighten the spirit. When I was a young adult I remember attending an acting class. I didn’t know a single person and one of the first exercises we were asked to do was to partner with someone and take turns holding one another. After loosening my inhibitions, I remember how good it felt to hold someone and to be held. It was the positive sharing of energy that made it a remarkable exercise. Most of us are either cat or dog lovers. As for me, I’m a dog person and while dogs may not have arms to hold me, they work hard to share the love by resting their heads in my lap or by standing close enough for their body to touch mine. Moreover, my dogs love to be held! I try to hug each of our four dogs daily. Every time I take a moment to hold them, they become still with pleasure. After I release them, they beg for one more hug or embrace. Try this exercise for yourself. Go for a walk outside and look for treasures in nature to pick up and hold. Allow yourself to be like a child on a scavenger hunt and pick up anything that strikes your fancy. Carry a small basket or bag to collect your treasures so that you can bring them home to add to your meditation area. Stones, leaves, acorns, seed pods or a small handful of sand… what will your treasure be? With every gift you find, hold it in the palm of your hand and look at it with a new curiosity. Are there any unique markings on it? Does it feel warm or cold in your hand? Take several deep breaths and then close your hand gently around your new-found treasure. Imagine that the object is sharing its energy with you. What does it feel like? Now imagine you and exchanging energy with the object — what does that exchange feel like? Nature is a perfect place for connecting with one’s inner Divine. When we discipline ourselves to mindless mindfulness, we are moving in the right direction. When we allow ourselves to notice the beauty around us, we are moving in the right direction. And, when we allow ourselves to connect to the energy of nature, we are on our way. Try this exercise a few times and note your mood afterwards. Does your energy exchange with nature invigorate you or relax you? Do you notice a positive change in how you feel? Do others notice a change in you? 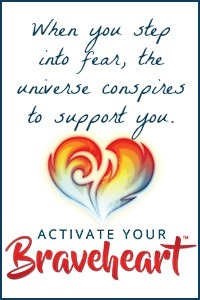 There are plenty of exercises to help you connect with the deepest sense of who you are and how you fit into a spiritual universe. I’ll be sharing some of these exercises over the coming year but if you want a jump start, you may want to check out Stories from Spirit. It’s available exlusively on Amazon for just $2.99. 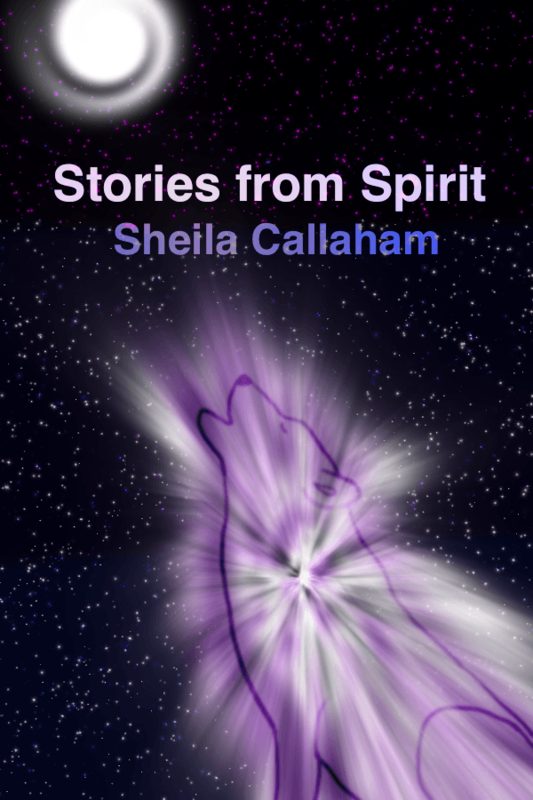 Read Mom on a Spiritual Journey book review of Stories from Spirit.